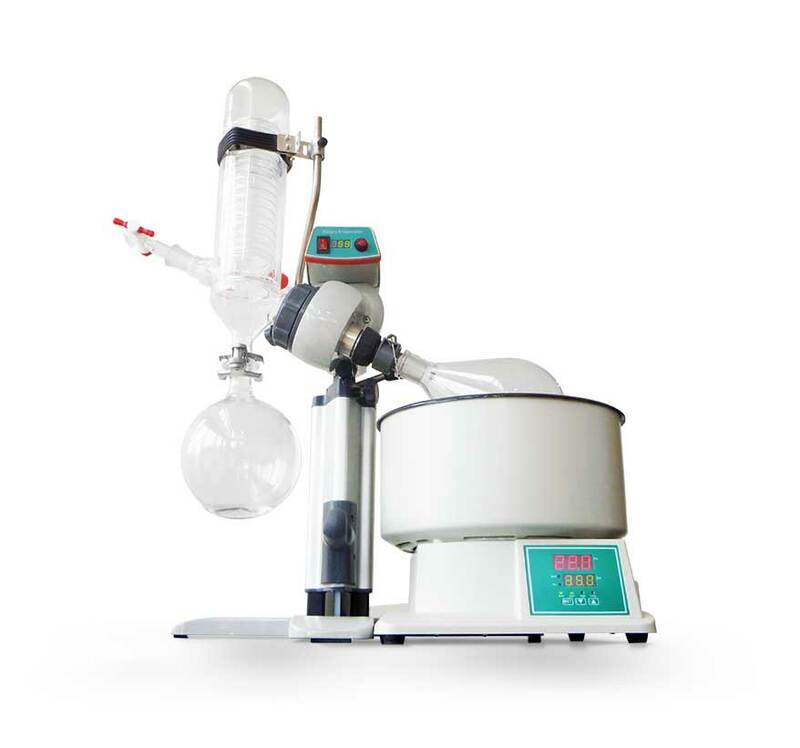 Our range of rotary evaporators is designed for the efficient and gentle removal of solvents in such applications as molecular cooking for the preparation of distillates and extracts. With both a 2 Litre and 10 Litre product in the portfolio, we cater for an array of processes. The A530200 forms film under both constant temperature heating and negative pressure conditions. 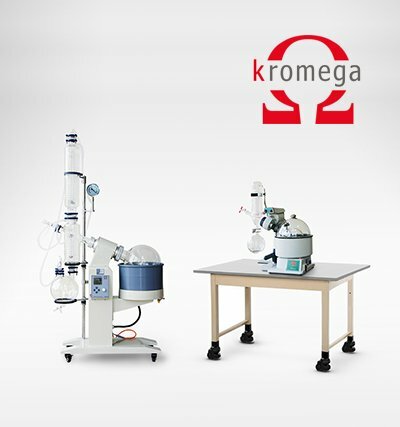 Owing to its efficient evaporation and condensation recovery of solvent, this evaporator is ideal for biological, medical, chemical and food industry applications where heat-sensitive material, crystallization, separation and recovery is required. 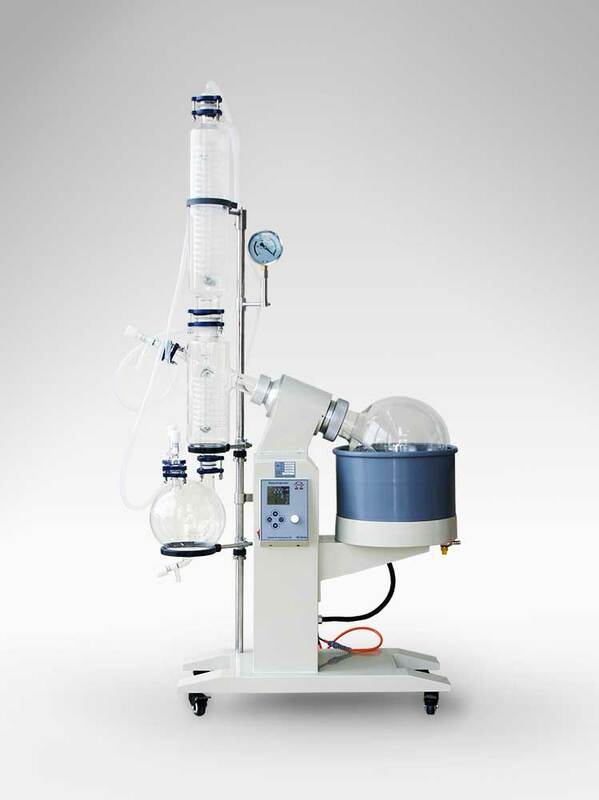 With a simple and reliable modular design, the A530201 features a large capacity, large aperture rotating evaporating bottle and a large evaporation area. An equipped drain valve on the receiving flask enables the user to easily recover the condensed liquid while maintaining low pressure. Vacuum controller enables user to regulate pressure precisely while increasing the recovery rate and improve efficiency. New and improved vacuum seal enables the user to maintain a higher vacuum in the system. A “one-touch” clamp on the sample flask allows the user to easily attach and detach the flask. Display: digital temperature and rotation speed displays allow the user to reproduce evaporation conditions accurately.